Is there any way that I can have screenshots and videos taken on my Switch on my computer without posting to social media on the Switch? There is, but you need a microSD card and an adapter if necessary. Great, I have both. The adapter came with my microSD card. There's a microSD slot behind the Switch's tabletop kickstand, so pull out the kickstand and insert the microSD card. Then you can move any screenshot or video on the Switch to the memory card. When you're done, pull out the microSD card and plug it into your computer with the adapter. You should be able to access the files. New NES games this month: Kid Icarus and StarTropics! The latter is notably never released in Japan, so the US got another exclusive game (Adventures of Lolo is another exclusive game since it's actually the second game, instead of Japan's first game). Meanwhile, Japan got not only Kid Icarus, but Fire Emblem and Yie Ar Kung-Fu. Yes, that means Japan got the regular 3 games still. Since when is Fire Emblem on the NES? Um the first two. Unless you’re being snarky and want to be technical, in which case they were on the famicom. I have been interested in trying out Kid Icarus for some time, so that's nice. I've never even heard of StarTropics, though. I'm surprised that there is no Smash Bros. icons. Maybe they'll release them in the next system update. There also is no Pokémon or DK series icon. 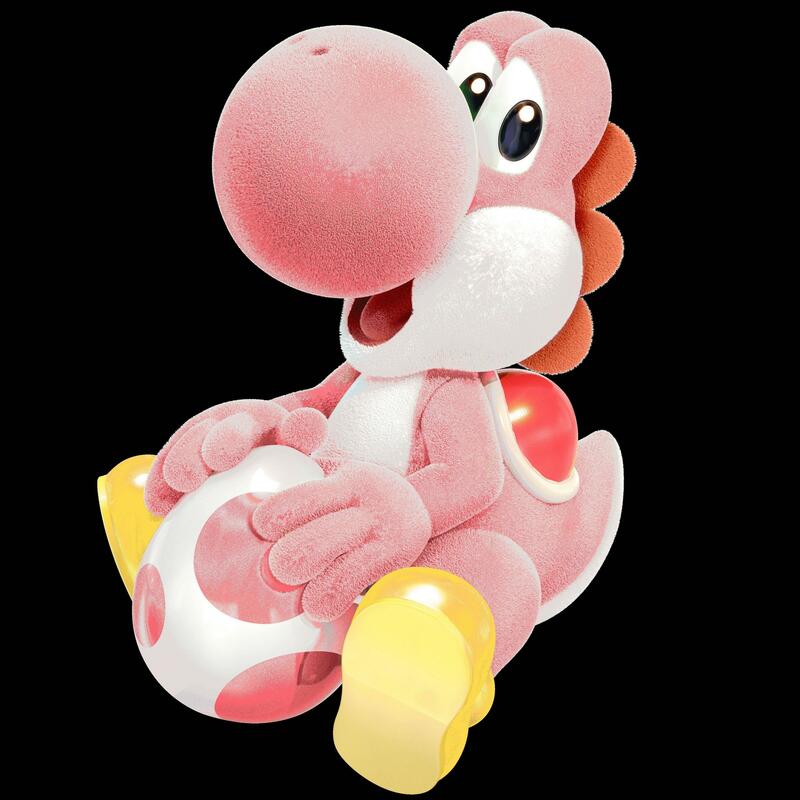 But there will definitely be Yoshi's Crafted World icons soon. I hope they’ll announce a new Mario and Luigi game for the Switch. It’s my favorite Mario series. I also hope so, considering I never was even able to try the series. Well hey, Alphadream confirmed they were making new games for the Switch and Mobile. If you ever get a 3DS, you can play all five on that. They're all quality games and I'd recommend playing them all. Especially Dream Team. The NES games for this month have been announced! Punch-Out!, Star Soldier, and the one, the only, Super Mario Bros.: The Lost Levels. Or Super Mario Bros. 2 in Japan. They arrive on April 10th. Lost Levels, yes! The original SMB trilogy is now complete! I know Mega Man already has a Legacy Collection, but it would be interesting if a Mega Man NES game were available for free. It would probably not have all the games to incentivise the purchase of the Legacy Collection, so I guess it would only have the first game. You know, I'm actually hoping for an SP version for once. Hopefully they'll make a Lost Levels SP with the lettered worlds unlocked, so I don't have to beat the game eight times to play them.